Unusual looking synthetic planters that can be screwed into the ground or sat on a support. Perfect for high crime locations! 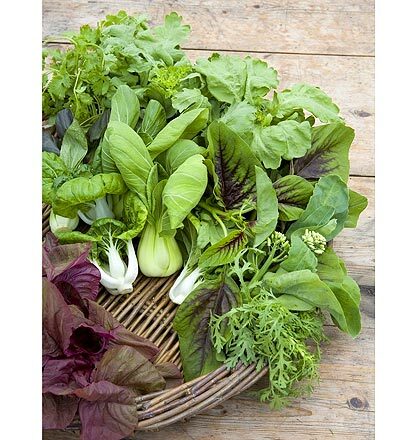 With space at a premium in micro-gardens, balconies and roof gardens, those that wish to grow their own produce need fast growing and quick cropping vegetables. Chinese greens are perfect for this. Many are winter hardy and though will grow more slowly in lower temperatures, will quite happily crop in sheltered urban conditions. Root depth is not as important as with some crops so shallow planters will be perfect. In really bad weather crops can be covered with horticultural fleece that is obtainable from garden centres and DIY stores. 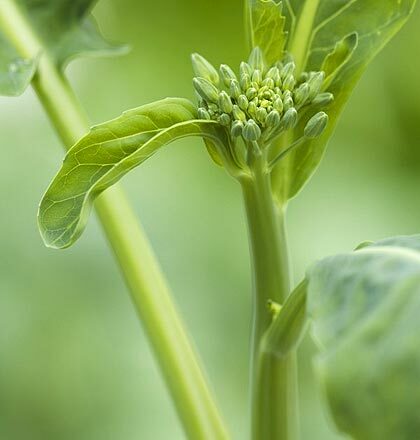 Seed can be sown quite thickly and then the resulting seedlings thinned out. 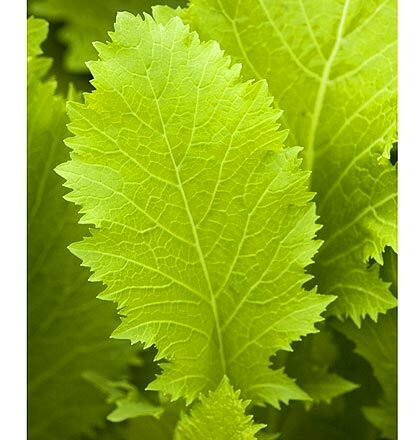 These thinings can be used in salads or stir frys and the rest left to mature. If space is of a premium, the new Humax Organic Salad Crop Bag (www.humax.co.uk) is perfect. These small grow bags contain all the nutrients required to produce a large and healthy crop without using chemicals. 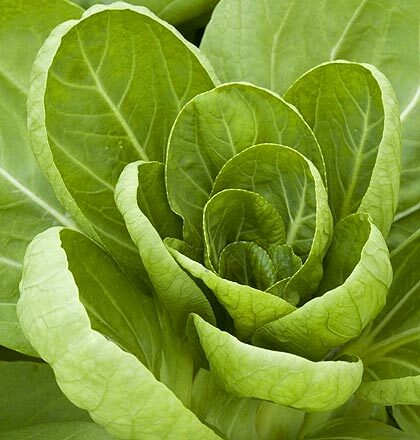 There are a wide range of chinese greens to grow including Chinese Mustard Green, Lin Choi, Green & Red Pak Choi and Kai Lan. The seed company Thompson and Morgan (www.thompson-morgan.com) do a wide range of seeds under their salad seed selection. Niche Oriental Mixed is a good seed mix by T & M that includes a wide range of oriental greens. 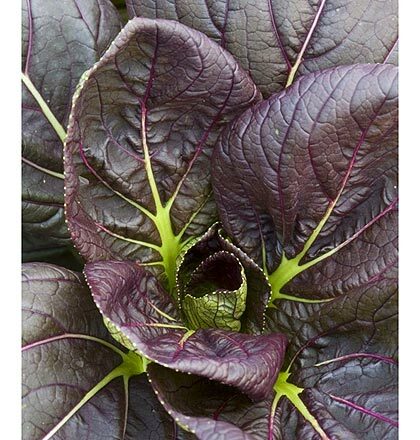 £1.89 (500 Seeds). For suitable planters with a different look try www.sandbevansandsons.com who supply a wide range with superb contemporary finishes. 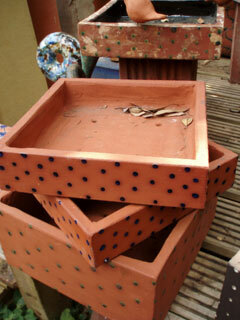 It includes these stunning planting trays. 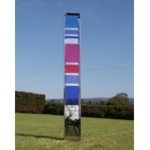 'Contemporary garden sculpture designed to bring colour, light and life to your outdoor space - they will lift your spirits on even the dullest of days. The sculptures in this unique range make a striking centrepierce in a modern garden scheme. 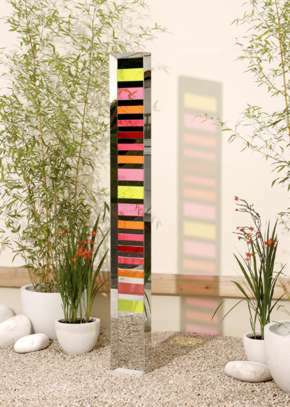 Manufactured from mirror polished stainless steel and transparent coloured acrylic, these garden sculpture form a bright shining focus of colour. they work particulary well in gardens with alot of hard landscaping or very restrained planting, and are wonderful in Winter when all else in the garden is bleak and colourless. When the sun shines, they appear lit up from inside and cast brilliant shadows along the ground. They are easy to install, being anchored in place with stakes(supplied) which are driven through holes in the baseplate on which they stand. 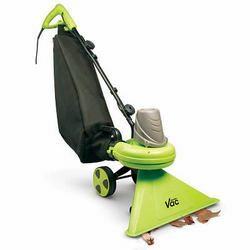 They can be also fixed to decking or paving by using screws or bolts with the baseplate instead of stakes. Made from spliced coconut pieces, hand cut and stitched to a frame. Roast your chestnuts outside this year! 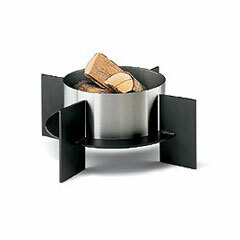 Highly desirable, simple, ergonomic and durable firepit. Indestructable stainless steel and 1/4" mild steel. Perfect for chilly winter night entertaining under the stars. Up to 50% of current household waste that goes to landfill could be composted. Kitchen Caddies are a great way for disposing of kitchen waste in an eviromentally friendly way. 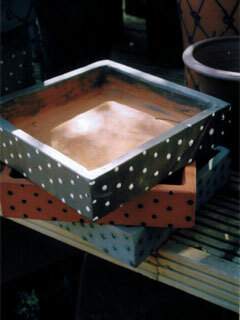 Once full the contents can go into a wormery to be converted into compost. To be extra green line the caddy with a cornstarch bag that is biodegradable and fully compostable. 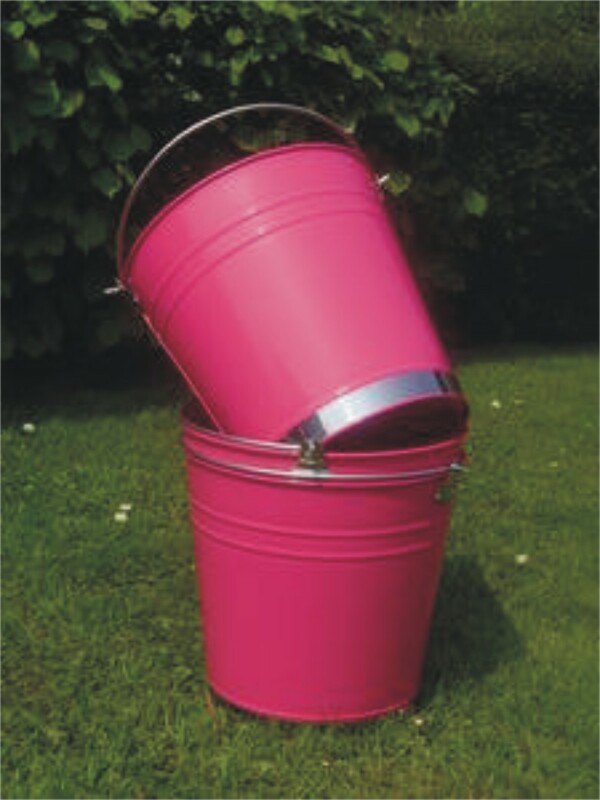 Bright pink coloured metal buckets with chrome trim. Great for colourful planters or to put your Christmas tree in.